In the land use sector mitigation, adaptation and development policies are all closely linked and can impact each other in positive and negative ways. It is therefore essential that these relationships are taken into account in order to enhance synergies and avoid or reduce trade-offs. 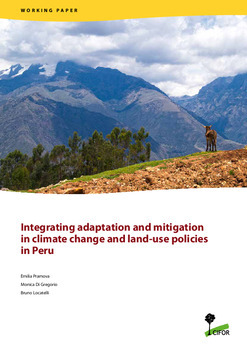 This can be achieved through a specific form of Climate Policy Integration (CPI), which integrates first mitigation and adaptation policy processes and subsequently mainstreams climate policies into development processes. We have explored these processes through case studies in the land use sectors of Brazil and Indonesia. CPI in the land use sector presents a number of challenges related to cross-sectoral and cross-level integration. Unless a governmental CPI authority mandates that sectoral ministries integrate their efforts, sectoral competition over control of decision-making processes may prevail, hampering CPI. Cross-level integration is weakened by differences in understanding, priorities and power across levels of governance.